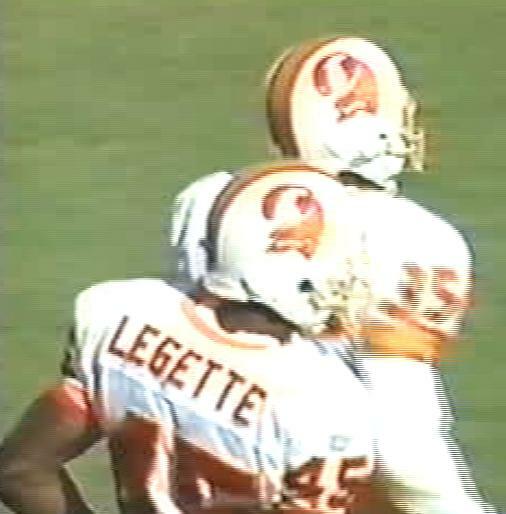 So how does Jeris White get the nod over Wayne Haddix who went to the 1990 Pro Bowl as a Buccaneer? Simply, Haddix should not have gone as his selection was one of the worst decisions ever made over the Pro Bowl in NFL history. White started for three seasons in Tampa and went on to win a Super Bowl ring with the Washington Redskins. 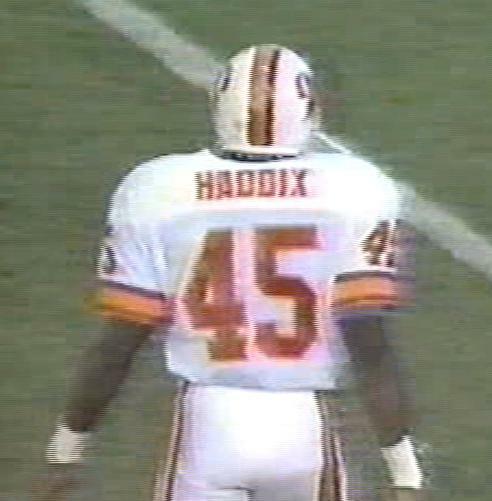 Haddix had seven picks and three returned for touchdowns in one season but was beaten more times than an egg in that season and even more in 1991 until Coach Richard Williamson finally cut him. 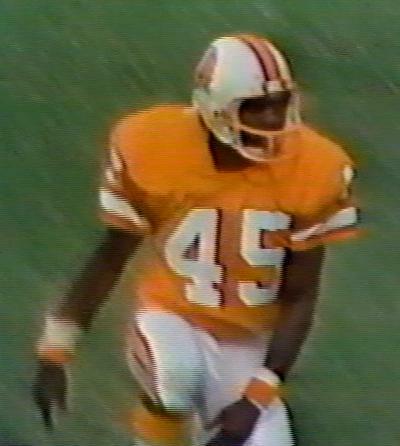 Vernon Turner kick returner wore No.45 briefly before switching to his normal No.30 jersey, but since then, 45 has not been a jersey worn by any player of great distinction. 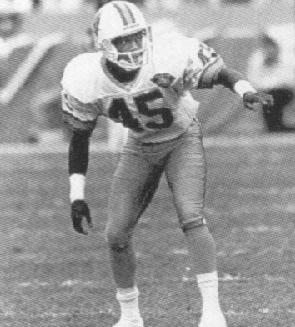 Tyrone Legette will always remain a favourite of Joel Glazer for his interception in the 1997 season opening win against San Francisco that signified the beginning of the turnaround of the franchise. 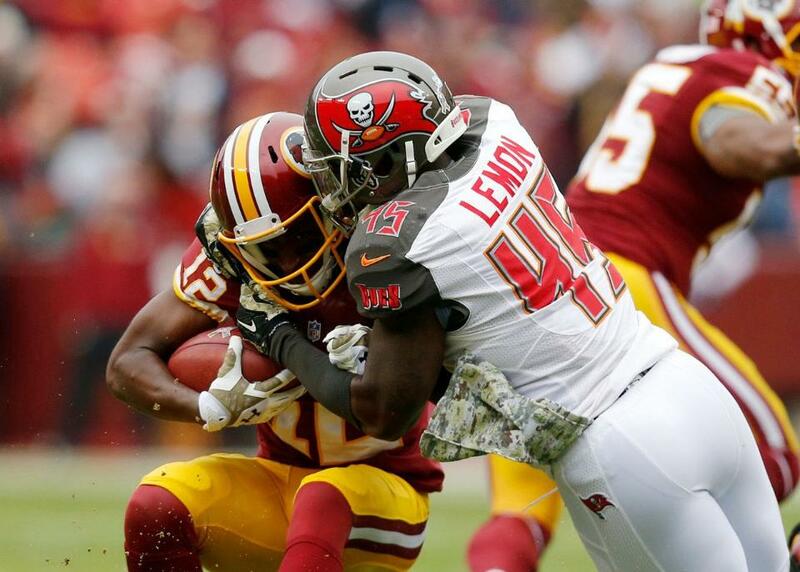 Orie Lemon was one of the most recent owner of the jersey, his being a linebacker after the NFL changed the rules on number allocation Alan "Honcho" Cross wore the number for three years before retiring after the 2018 season to take up a coaching position at his alma mater.